Put an Award-winning, Emmy Nominated team on your project! Writer, producer, director Pamela Peak and her team of media professionals have reached tens of millions of people across the U.S. and Canada with works that move people! We bring big-screen award-winning talent to your production—at affordable prices. When you bring your vision for a corporate video, web-video, documentary film or a live event to Pamela Peak, you will always end up with a spectacular result; a result beyond your expectations; a result that makes your targeted audience “reach back” to you! Why is this so? How can we say this with such confidence? 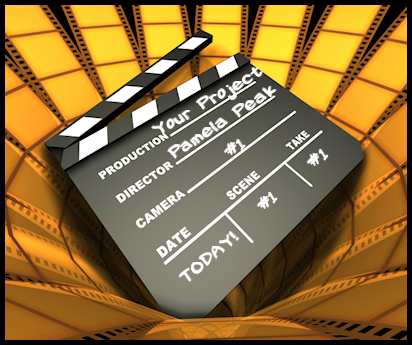 Unlike other video production houses, Pamela Peak combines her acting and directing “emotional impact know-how” with twenty-five years of effective marketing experience to each and every project she takes on. That’s the key factor that ensures that the powerful message you want to convey will be communicated effectively! Your message should create an emotional impact. If it doesn’t, then your communication will get completely lost in today’s noisy, fast-paced world. Many video production houses focus primarily on flashy advanced technical capabilities. But Pamela and her award-winning team apply advanced media technology plus advanced marketing insight to your message. The result is message-relevant emotional impact. That’s what makes your project a success! Call today to discuss your next project or project idea — (949) 305-5496 or email Pamela at Pamela@PamelaPeakProductions.com.